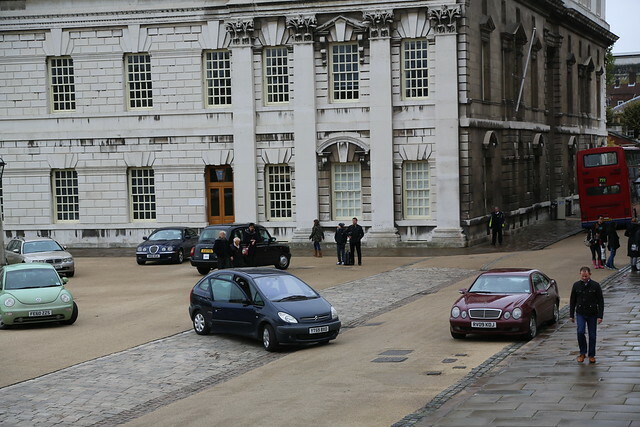 The film crew for Thor: The Dark World descended upon Greenwich's Old Royal Naval College on Sunday. 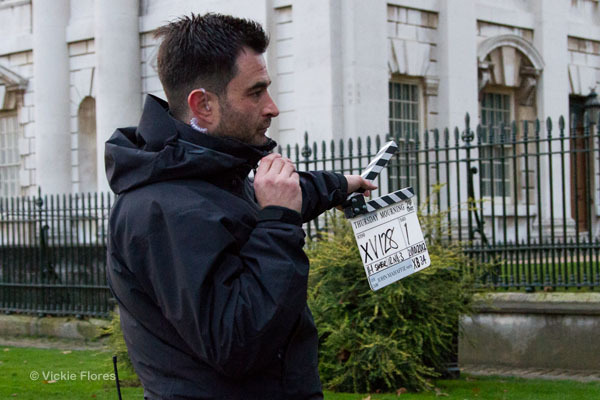 The sequel to 2011's Thor has the working title Thursday Mourning and sees stars Chris Hemsworth and Natalie Portman return to their roles as Thor and Jane Foster. 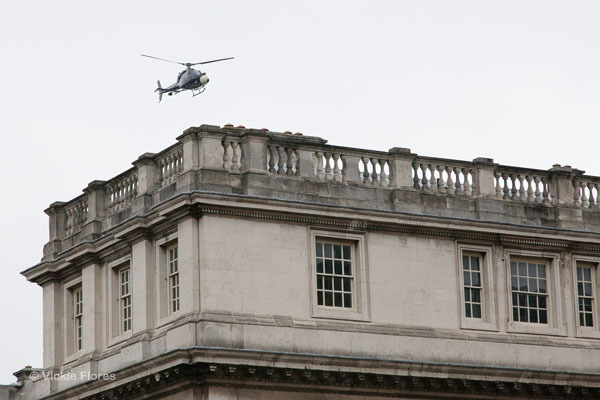 The producers wrote to local residents recently to let them know of their planned filming with a low flying helicopter. 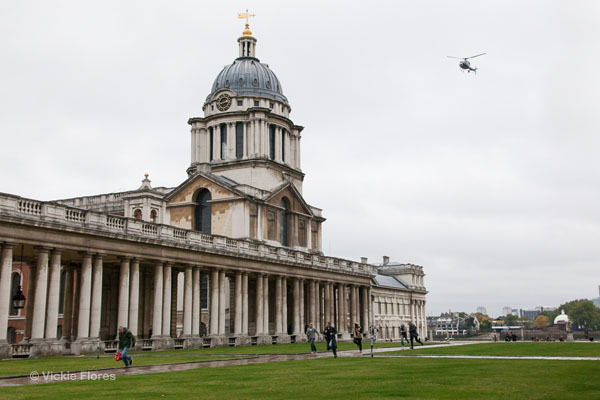 The chopper with camera attached buzzed over the ORNC throughout yesterday morning as multiple scenes were shot where panic-stricken extras appeared to flee an airborne threat. 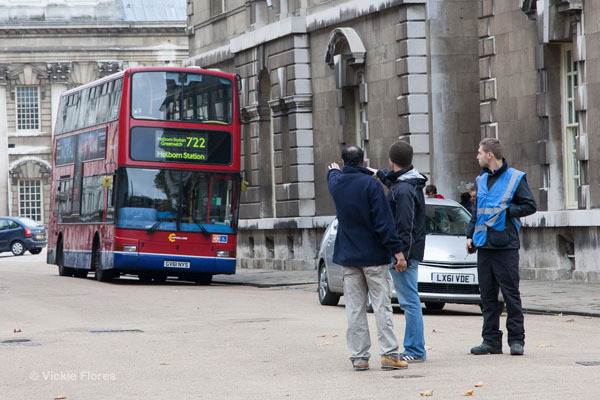 As part of the filming, an array of cars were haphazardly parked in the Grand Square and a double decker bus lurked around the corner, with rumours online suggesting it may be part of a planned crash scene. 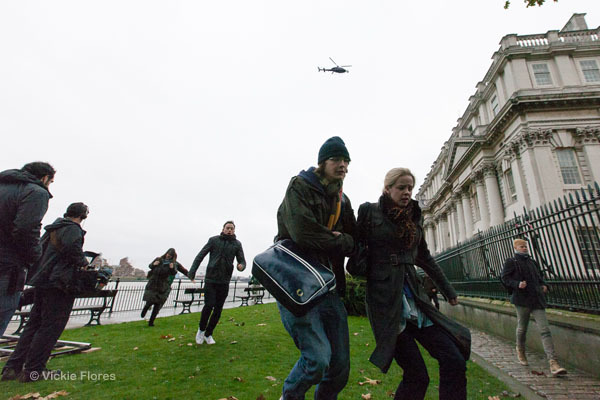 Thor: The Dark World will be released in 2013. According to tfl.gov.uk route 722 does not exist. :-(. one of my best friend go to college there… hope to see her in it hahaha.